What Do You Do if a Minor's Court-Appointed Guardian Dies? A court-appointed guardian serves to protect the interests of a minor child who does not have a responsible parent, relative or other adult to handle his needs, including housing, education and medical care. State law governs the necessary procedures for the appointment of a guardian, as well as the steps to take if the guardian dies or is rendered unable to continue the guardianship. Court-appointed guardians hold important responsibilities, including the designation of a successor should the guardian pass away. Some states allow a court-appointed guardian to file a notice selecting a standby, temporary or limited guardian to serve in this circumstance. The deadline for filing this notice varies by state. In Washington, for example, a court-appointed guardian has 90 days from the date of his appointment to file. The successor guardian must be notified of the appointment and, in some states, must also consent to the appointment in writing. In most cases, the notice of designation must be provided to the child or incapacitated adult as well as the immediate family and any health or care facility in which the person resides. State law may limit the amount of time a successor guardian can serve in this capacity. Indiana, for example, sets a maximum of 90 days, after which a permanent guardian -- who may be the successor -- must be appointed by a court. If a court-appointed guardian dies, the successor guardian must file a notice of the death along with a petition with the court for the substitution. In most cases, the designation of a successor becomes effective immediately, pending the approval of the court. The successor guardian generally has the same rights and duties as the original court-appointed guardian, including the right to consent to medical procedures. A successor guardian does not have to be a relative of the child, although each state typically requires any legal guardian to be at least 18 years old or a legal adult. The successor guardianship comes to an end when the child reaches 18 or the age of majority, is married or the parents successfully petition the court to end the guardianship. A court may, at any time, terminate a successor guardianship if it's in the best interests of the child. Some states also give children over a certain age -- 14 in New York -- the right to petition for or object to a guardianship. Can the Biological Mother Change the Legal Guardianship of Her Child? The legal guardian of an infant in Kansas takes care of the infant and assumes responsibility for her as a parent would. Any person may file a guardianship petition in the district court of the county the child lives in. Petitioners may include relatives of the child and other caretakers, such as the child's doctor, involved in the child's life, as well as county and state welfare agencies. The district court reviews the case and holds legal proceedings to decide whether the infant needs a guardian. Once a legal guardian is appointed for the infant, he has various duties and some authority limitations under Kansas law. In Arizona, as in other states, an adult may obtain legal guardianship over a minor or an incapacitated adult with approval from a court. The person for whom a guardianship is established is known as the ward. Legal guardians have specific responsibilities including providing their wards with protection, support and care. A Kansas court may appoint a guardian to care for an impaired adult or child whose parents are unfit or unavailable. Such a person is known as a "ward." Guardianships in Kansas are governed by state law. Termination of a guardianship is available on several bases, some of which require a court hearing. Regardless of whether a court hearing is required, termination of a guardianship requires a court order. 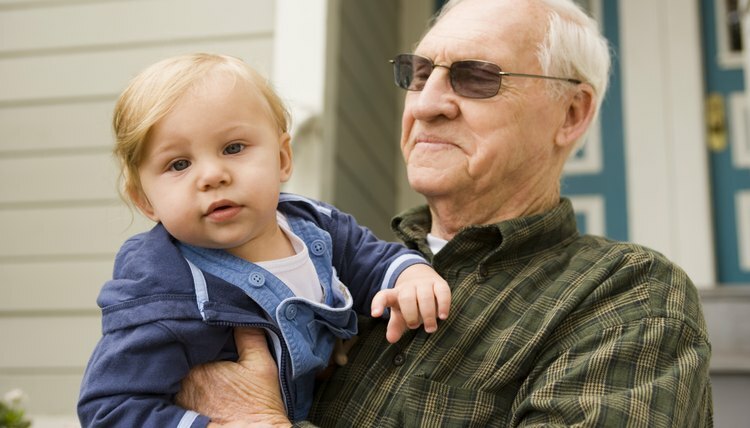 What Does Legal Guardianship of Grandchildren Mean? Does Power of Attorney End Upon Death?